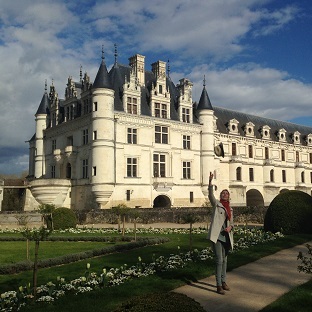 A Loire Valley cycling tour to discover the fascinating Clos-Lucé, where Leonardo da Vinci lived, and commemorate the 500th anniversary of his death in the town of Amboise. 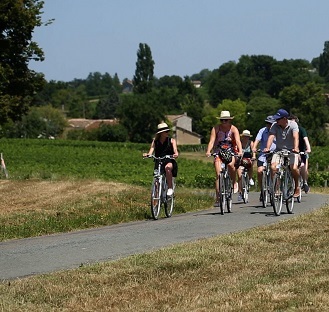 Then, ride along the Loire Valley rivers and vineyards by e-bikes and learn everything about its unique landscapes and history thanks to your local and fun guide ! 1.45 pm: Departure from Tours, meet your group in front of Tours Tourist Office, follow your guide to the train station, step into a shuttle train and you're off to Amboise! 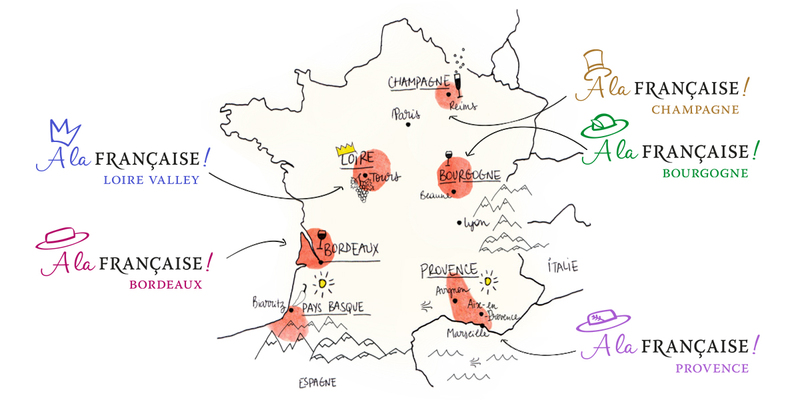 2.15 pm: Departure from Amboise, your guide comes to meet you in front of the train station of Amboise. Everybody's here? Great! Adjust your E-bike and follow your guide through Amboise, a lovely old town full of timbered houses and remains of the times when the French Kings were born and raised there! 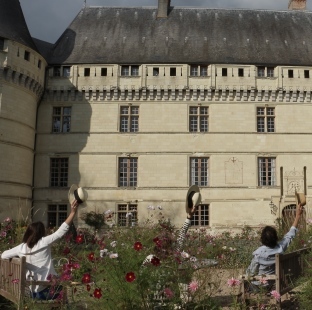 While pedaling, you will enjoy a stunning view on the impressive royal Chateau of Amboise. 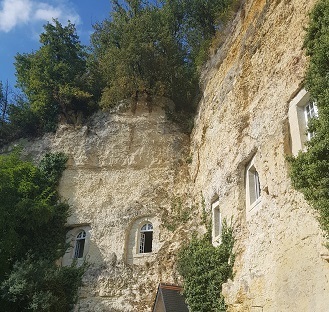 You will also discover ancient cave houses built in the 14th century before riding to the unique Clos-Lucé: residence where Leonardo da Vinci’s had a peaceful time for the last three years of his life. 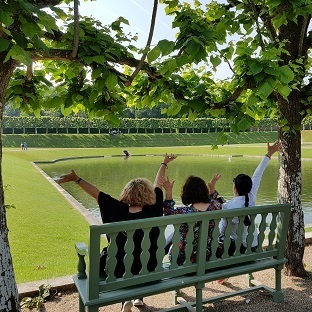 Once at Chateau du Clos-Lucé, enjoy a guided visit and learn everything about Leonardo da Vinci’s special friendship with the French King François I. Follow your guide and learn everything about Leonardo da Vinci’s fascinating world! In 1516, François I, King of France, invited Leonardo to come and live in Amboise, where he brought three of his famous masterpieces including the Mona Lisa. Feel what Clos-Lucé looked like back in those days of French Renaissance, and learn about the French King's admiration and total devotion to this world-famous painter, architect, and sculptor who chose to stay in Clos-Lucé until his death. During this visit, you will appreciate the amazing gifts of the Italian genius and admire all his creations and main inventions. Most of it are still in use nowadays! After that, enjoy a nice walk in the picturesque green park where Leonardo da Vinci used to observe nature and organize magnificent parties for the King. 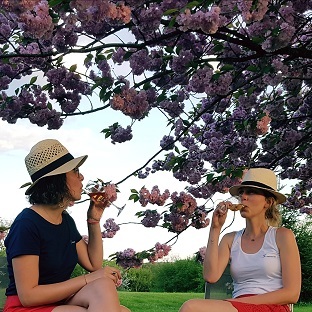 Halfway through the itinerary, enjoy a restful and pleasant break with your group in the vineyards with a glass of local Loire Valley wine and some typical French pastries. Anecdotes, history, architecture, exceptional points of view.... what a day! 7.00 pm: Arrival back in Tours, end of the tour in front of the Tourist Office. 7.40 pm: Arrival back to the train station in Amboise (after a short shuttle transfer from Tours) end of the tour.